Our projects are the core of the Wikimedia movement. All major projects of the Wikimedia Foundation are collaboratively developed by users around the world using the MediaWiki software. All contributions are released under a free Creative Commons license, meaning that any project content may be freely used, edited, copied, and redistributed, subject to the terms of the license. A full listing of Wikimedia projects is available here: Special:SiteMatrix. Please note: while other sites use the MediaWiki software (often giving them a similar visual appearance) or have a name that includes "Wiki-" or "-pedia", only the projects listed below are part of the Wikimedia Foundation. Wikipedia is a project to build free encyclopedias in all languages of the world. Virtually anyone with Internet access is free to collaborate by contributing neutral, cited information. Wikipedia started in January 2001, and currently offers more than 40 million articles written in 293 languages. The largest Wikipedia is in English, with more than five million articles; it is followed by other major languages such as Swedish, German, Dutch, French, Russian, Italian, Spanish, Polish, Vietnamese, Japanese, Portuguese and Chinese editions, each of which contain more than 800,000 articles. Over 50 other language editions contain 100,000+ articles, and more than 220 other languages contain 1,000+ articles. Wiktionary is a project to create a multilingual free content dictionary in every language. This means each project seeks to use a particular language to define all words in all languages. It actually aims to be much more extensive than a typical dictionary, including thesauri, rhymes, translations, audio pronunciations, etymologies, and quotations. The project started in December 2002, and as of June 2016 is available in over 170 languages with over 25,000,000 entries in all. The largest language edition is English, with 4,733,000 entries. Then Malagasy, French, Serbo-Croatian, Spanish, Chinese, Russian and Lithuanian follow. All seven of them have more than 600,000 entries each, while 41 other languages have more than 100,000 entries each. In total, 116 languages have at least 1,000 entries. 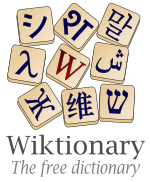 Wiktionary works in collaboration with the Wikimedia Commons. Many sound files have been uploaded to Commons to provide Wiktionary and other projects with examples of pronunciation. Wikiquote is a repository of quotations taken from famous people, books, speeches, films or any intellectually interesting materials. Proverbs, mnemonics or slogans are also included in Wikiquote. The project started in July 2003. As of November 2016, there are over 183,000 entries in 89 Wikiquote language projects, with 10 Wikiquote languages over 5,000 entries. Wikibooks aims to build a collection of free e-book resources, including textbooks, language courses, manuals, and annotated public domain books. It aims to help both (self-)instruction of students and teachers in high schools and universities. As of June 2016, the largest Wikibooks is in the English language, with over 54,000 modules from over 2,800 developing books. The German, Hungarian, and French follow, each has over 15,000 modules. The project started in July 2003 and now has over 229,000 modules from over 5,000 developing books, across over 120 languages. Wikisource is a multilingual project, started in November 2003, to archive a collection of free and open content texts. It is not only a superior format for storing classics, laws, and other free works as hypertext, but it also serves as a base for translating these texts. At the beginning, source texts in all languages (except Hebrew) were all on one wiki. However, Wikisource now has several editions in many individual languages. As of June 2016, Wikisource offers 2,900,000 source texts in total. The largest is the English Wikisource, with over 579,000 works. Then Polish, German, Russian, French, Hebrew and Chinese with each containing over 120,000 source texts. Wikispecies is an open, wiki-based project to provide a central, more extensive species database for taxonomy. It covers living and fossil representatives of Animalia, Plantae, Fungi, Bacteria, Archaea, Protista and all other forms of life. 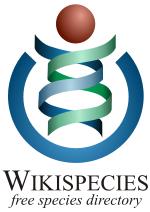 Launched 14 September 2004, Wikispecies is aimed specifically at the needs of scientific users, and as of July 2016, has over 480,000 entries. There are plans to help Wikispecies collaborate with the Encyclopedia of Life project when the latter is more fully underway. The Wikinews project was launched in December 2004 with the mission to report the news on a wide variety of subjects. Contributors from around the world write news articles collaboratively. Reports range from original reporting and interviews to summaries of news from external sources. All reports are required to be written from a neutral point of view. Unlike other Wikimedia projects, Wikinews is licensed under Creative Commons Attribution 2.5 rather than Creative Commons Attribution-Share Alike 3.0. Currently Wikinews has two aims: providing a free content alternative to commercial news sites and making sure that articles are fact-checked and reviewed thoroughly. Wikiversity is a project dedicated to learning materials and learning communities, as well as research. It was set up as a Wikimedia project (in "beta" phase) on 15 August 2006 with the English and German Wikiversities, as well as the multilingual coordination hub. Despite what its name may suggest, Wikiversity is not limited to university (or tertiary) level materials, but is open to materials and communities of all learner levels. The way it can facilitate learning activities and communities is still being explored, but is centered around the model of 'learning by doing', or 'experiential learning'. As of June 2016 there are over 85,300 learning resource entries across 16 languages. The German version contains over 31,600 and both English and French have over 10,000 entries. Wikivoyage aims to create the world's largest free, complete and up-to-date world-wide travel guide. Wikivoyage was launched in January 2013 and is written by volunteers in the same spirit of sharing knowledge that makes travel so enjoyable. The project began in December 2006 as a German language fork of a site named Wikitravel, and joined the Wikimedia Foundation project family as a beta with 80,000 articles in seven languages. Wikivoyage is now available in 21 languages. Wikimedia Commons was launched in September 2004 to provide a central repository for free photographs, diagrams, maps, videos, animations, music, sounds, spoken texts, and other free media. It is a multilingual project with contributors speaking dozens of languages, that serves as a central repository for all Wikimedia projects. The project is growing rapidly. In December 2012, it reached fifteen million multimedia files, having surpassed 30 million in January 2016. Wikimedia Commons received an honorary mention for Digital Community at the 2005 Prix Ars Electronica awards. The project has three community-driven mechanisms for highlighting quality contributions: Featured pictures which acknowledge the cream of the crop, and Quality images, which recognise well-composed creations by Wikimedia editors. Since 2006 it has run a Picture of the Year competition, which invites the wider Wikimedia community to share in the celebration of the inspiring free content imagery. Two pages, Meet our photographers and Meet our illustrators, showcase a selection of the highly skilled contributors who choose to use free content licenses and donate their work to the Wikimedia Commons. Wikidata was launched in October 2012 and aims to create a free knowledge base about the world that can be read and edited by humans and machines alike. It provides data in all the languages of the Wikimedia projects, and allows for the central access to data in a similar vein as Wikimedia Commons does for multimedia files. The data available in Wikidata is licensed under the Creative Commons CC0 License to allow third-party users to freely reuse the data available with no restrictions, unlike other Wikimedia projects. 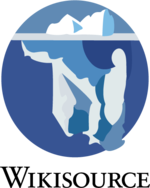 The MediaWiki open source community maintains several software projects. The MediaWiki engine is used by all Wikimedia projects and many other sites. Its core functionality can be expanded through extensions, customizations, and mobile applications. Developers can use the MediaWiki API to build applications interacting with sites like Wikipedia. MediaWiki welcomes technical volunteers for development, testing, system administration, documentation, design, and promotion. Meta-Wiki is a project used as a central hub for various coordination and organization tasks, such as discussions affecting multiple wikis or planning upcoming events. It has been used for a wide range of purposes, from documenting wiki philosophy to submitting grant proposals. Other notable uses of Meta include "Requests for new languages" and the public center for steward activity and some fundraising-related discussions. Like Wikidata and Commons, it aims to be multilingual. 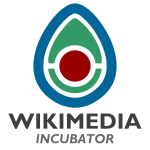 The Wikimedia Incubator is a wiki used for developing new wikis. In other words, it is where new editions of Wikimedia content projects (Wikipedia, Wiktionary, etc.) are created before going "live" to a subdomain like en.wikipedia.org or fr.wikipedia.org. Each wiki being created there is called a "test wiki", and is identified by a code for the project family (such as "Wp" for Wikipedia) and its ISO 639 code. For example, the Votic Wikipedia is being incubated as Wp/vot. Note that Wikisource and Wikiversity have separate "incubators", www.wikisource.org and Beta Wikiversity, respectively. Like Meta, Commons, and Wikidata, it aims to have its policies translated into many languages. Wikimedia Cloud Services (WMCS) is a flexible computing ecosystem built on OpenStack, GridEngine, and Kubernetes. The project empowers technical contribution to the Wikimedia software world. The products and resources of the WMCS project are available for use by anyone connected with the Wikimedia movement. Support and administration of the WMCS resources is provided by a Wikimedia Foundation team and Wikimedia movement volunteers. Wikitech is a site for internal technical documentation of Wikimedia infrastructure, and it is connected with the Wikimedia Cloud Services project. This page was last edited on 16 April 2019, at 07:12.